Our curriculum is delivered using a thematic approach delivered through a “Challenge Curriculum” approach. This focuses on using a key question each week to develop a line of enquiry and learning. It is a context based way of organising the curriculum and helps the pupils develop the skills of independent learning. Throughout the year the children will complete at least 6 themes which will cover many of the curriculum requirements in all the subjects. Lessons which cannot be linked to the themes are taught separately. 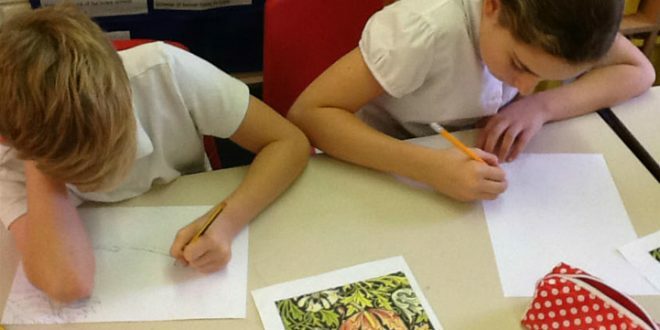 The choice of the theme may be influenced by events happening at the time, the pupils’ interests and their needs. It is the teacher’s decision as to the order of their themes. Click here to see our Curriculum Plan for 2017-18 for all year groups. The school’s RE is taught using the Agreed Syllabus for Religious Education. Please see Greengate Lane Religious Education Policy 2016 here. The school places considerable emphasis on the acquisition of basic skills in daily English and Maths sessions. These skills are then used and applied through thematic work. In all subjects, children are grouped within the class and carefully planned work is set according to their ability. Higher achieving children are identified and receive appropriate extra support. Parents are sent half termly letters and have the opportunity to attend meetings which give details of curriculum areas and topics to be covered. These include details of homework menus and ways in which parents can support their children’s learning at home. Parents are invited into school to see topic work in ‘Pride Folders’ each half term. We integrate the use of ICT in a meaningful relevant way. We are continuing to develop a curriculum which is relevant to our pupil growing up in our locality into today’s world. Pupils, parents and carers, staff and governors have all had the opportunity to contribute, giving us a curriculum that both meets the requirements of the New Primary Curriculum and the needs of the pupils.